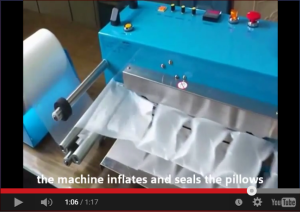 Create your own On Demand Air Cushion / Pillow Packs with the YC03FD Air-Pad machine for fast void fill packing applications. AIRPAD Films are eco-friendly HDPE , D2W, biodegradable films, supplied in flat roll format, ready to be quickly and simply filled with air, with different profiles suitable for void fill, interleaving and wrapping applications. 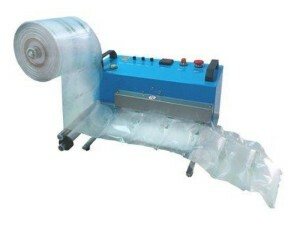 Air Pad cushion films are manufactured with easy to tear perforations that simplify the separation of the cushions. Three sizes of AIR PAD Films are currently available. Adjustable fan and motor speeds create up to 18 metres of air cushion packaging per minute. Please feel free to enquire with us regarding the above.